Community / Public Health is the application of a variety of methods that result in the identification and assessment of factors contributing to the health of a population. The community health professional is responsible for the mobilization and education of community members into actions to resolve health issues and problems that affect their community. The fundamental mission of the Community/Public Health degree is to provide the competencies necessary for the integration and application of basic knowledge, skills and concepts from the core curriculum, supporting field and electives to the specific knowledge base that is unique to the discipline of Community/Public Health. Knowledgeable and passionate faculty are available to guide you through course work and provide hands-on experiences in the community. Completing a 320-hour internship that provides complete immersion in an agency in the field. Incoming freshman are eligible for a variety of scholarships within the General Academic Scholarship Program. 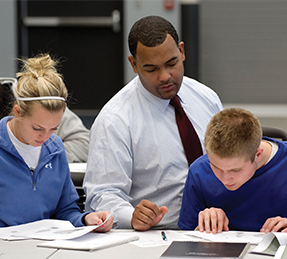 There are multiple scholarships specific to the College of Education and Professional Studies. Not sure what to do with a Community/Public Health degree? Check out our career guide! UCO Wellness Center: Go to http://www.ucowellnesscenter.com/ to find out about all the opportunities on campus! Oklahoma Public Health Association: Go to http://www.opha.net/ to find out about local health issues and initiatives.